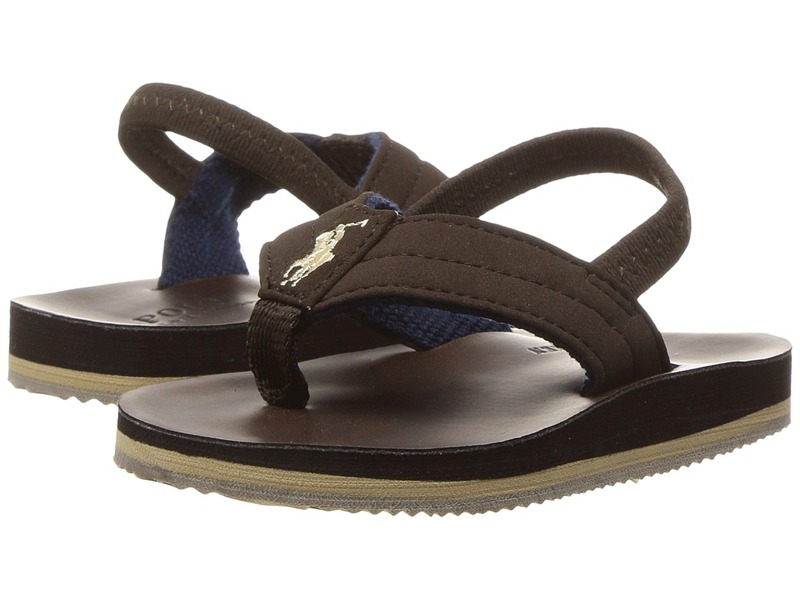 Kickin~ it in the warmth in the alternate kicks from Polo Ralph Lauren Kids! Flip flops in a synthetic upper. Signature Pony logo detail at 3-point strap. Slide-on construction with back-strap for stay-fit wear. Synthetic lining and molded footbed. Synthetic sole. Imported. Measurements: Weight: 3 oz Product measurements were taken using size 9 Toddler, width M. Please note that measurements may vary by size. Weight of footwear is based on a single item, not a pair.